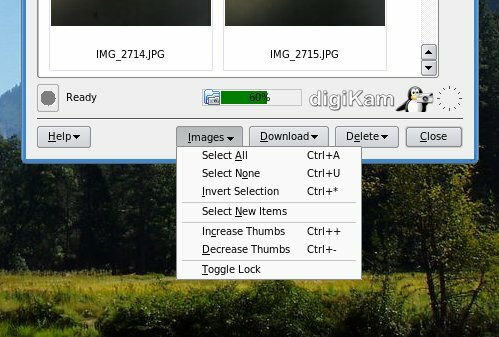 I have never paid much attention to digiKam until a friend at a forum I frequent suggested it as a worthy addition to the Users' recommendation section in my New cool list of Linux must have programs. 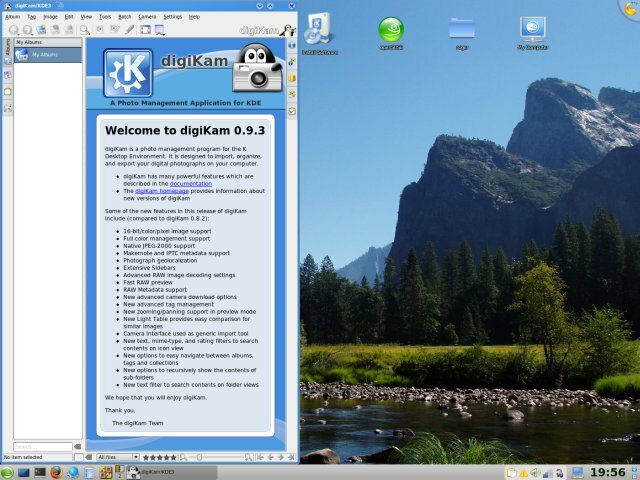 This gave me an opportunity to try digiKam in earnest and see what it's all about. 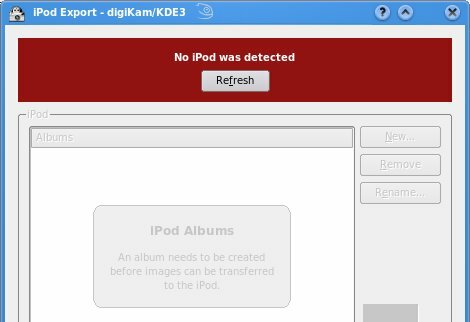 Boy, digiKam is a great surprise! Follow me for a spin. 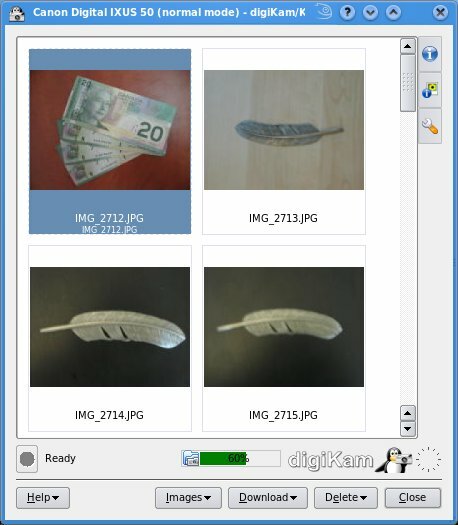 Officially, on paper, digiKam is an advanced digital photo management application for Linux, Windows and Mac. In reality, it is much more. In this review, I will try to present some of the myriad features of this phenomenal program. 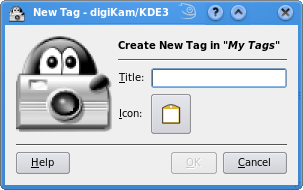 I started digiKam on my openSUSE 11.0 installation, where it comes installed by default. 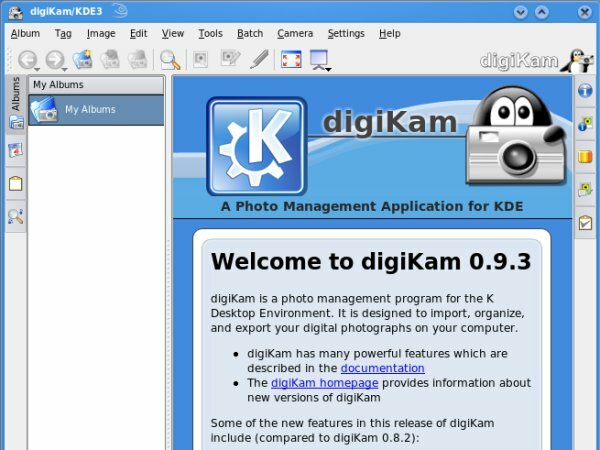 At first look, digiKam seemed to be yet another classic KDE application, loaded with menus and sub-options. Until I started using it, that is. 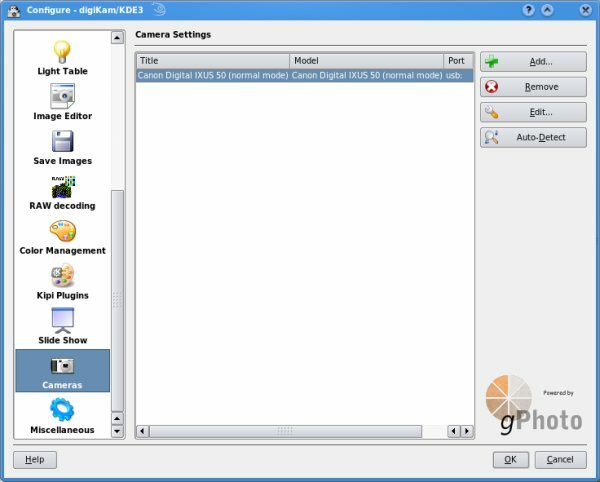 As its name suggest, digiKam works with ... digital cameras. This was the first thing I wanted to test. I plugged in my Canon PowerShot A520 and let digiKam scan for cameras. It found my Canon without any problems. After the device is detected and added, you can start playing with its settings. However, for the time being, I decided to proceed with the defaults. 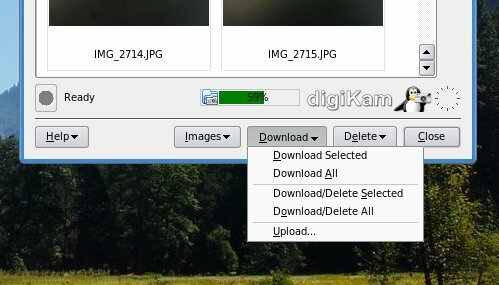 At the bottom of the browsing menu, there is a number of quick-action buttons that allows you to interface with your camera, including selecting, downloading, uploading, or delete images. 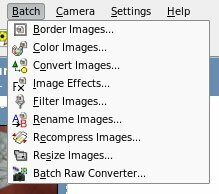 The camera browser behaves just like an ordinary file manager. 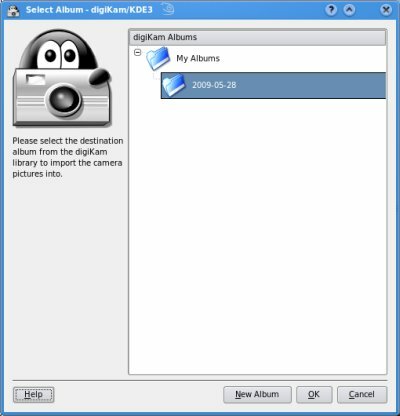 If you decide to download the images from the camera onto the local disk, you'll have the option to create a new album. This can help in sorting out through large collections of photos. After downloading the images, when you open the album, you can start manipulating the collection. 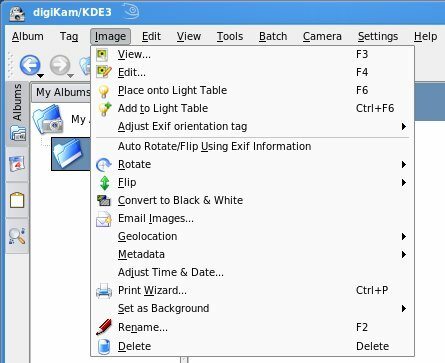 Here, digiKam shows its true power, the rich and simple image manipulation interface, which allows non-professionals and power users alike to quickly and easiy edit large batches of images. 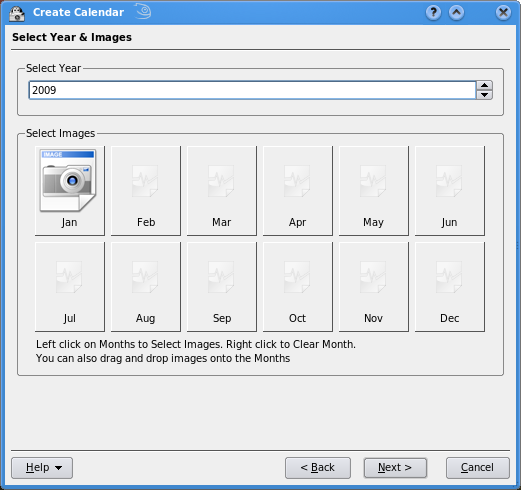 Some of the many functions available include all sorts of effects, batch renaming or resizing or you may even want to create a calendar with your own photos. digiKam will try to find a printer to which to send the prepared calendar. You no longer need to pay money to silly calendar making services that all sorts of websites or shops offer. You can do it in your own home. You can also tags images. This makes searches through large categories much easier and faster. And you can even export albums to iPods. I don't have one to demonstrate this, but should my hands happen upon one, I promise a rematch. What I've shown you hardly scratches the surface of the iceberg. 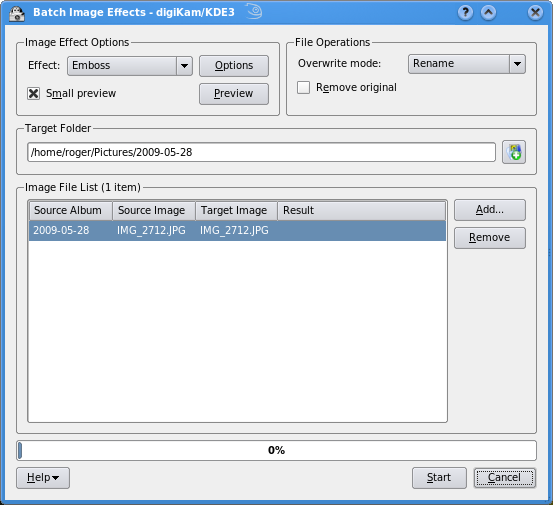 digiKam has a very large number of features. If you just need a basic tool to maintain your albums, digiKam can do that for you. But if you need a power tool that will perform complex manipulations, you've come to the right place, too. 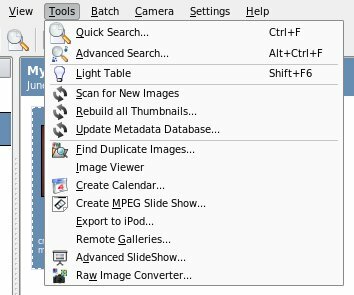 digiKam can email images, change time & date stamps or metadata, set geolocation on the images, find duplicates, work with raw images, recompress images, and many other things. digiKam also lets you export your work in a large number of shapes and formats. 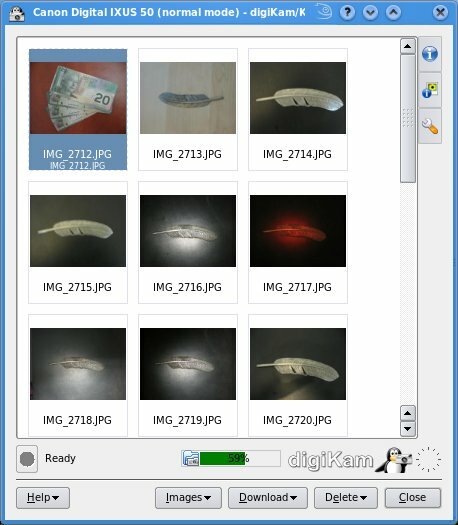 It can burn galleries to CD/DVD, send them to Flickr, backup and sync the albums with remote sites, export to Picasaweb, create Google Earth KML files, and autogenerate HTML or Flash galleries. And let's not forget the iPod. I could go on forever, but to make this review tasteful, I have to stop somewhere. I think I have done my share. For the staggering list of all available features, you may want to take a look at the official page. Discovering a new program that meets all your expectations, surpasses them and then gives you a backrub and a monthly subscription to Top Gear magazine is a very pleasant prospect. It's like a hidden 100-dollar note you find in the back pocket of a pair of jeans in your laundry basket. digiKam fits into this category. digiKam is a complete, fully featured photo management suite that will do everything you need. From newbies to professionals, digiKam has everything you want. On top of that, it has a clean, pleasant interface that does not feel cluttered despite its inherent KDE-ness, it's robust, solid and works well without any hitches. There was nothing wrong I could find about it, no matter how hard I tried. And for a suspected Gnome head, that says a lot. digiKam simply blows away all competion. If you have but one digital image at your home, let digiKam work its magic on it. You won't be disappointed.